Trump's Campaign Mode Revives Fiery Immigration Talk - Integration Through Media ....! 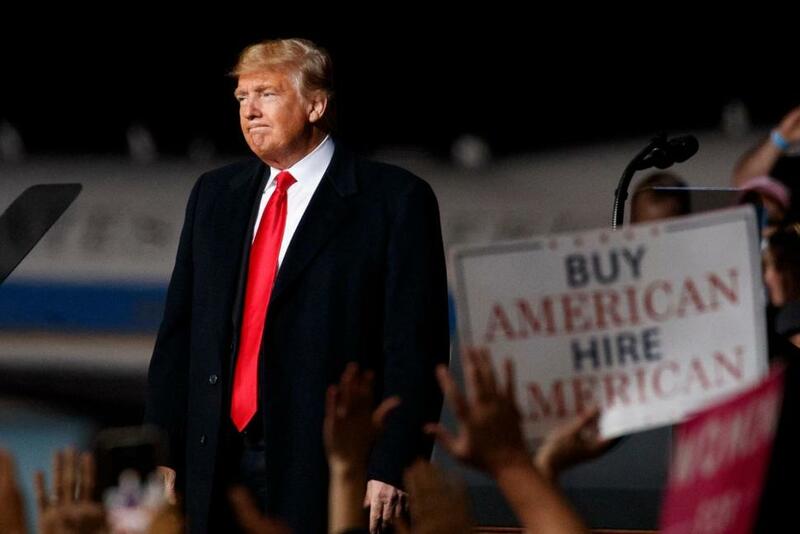 BY ZEKE MILLER AND CATHERINE LUCEY, SCOTTSDALE, Ariz. (AP) — Donald Trump fueled his 2016 campaign with fiery immigration rhetoric, visions of hordes flowing across the border to assault Americans and steal their jobs. Now, in the final weeks before midterm elections, he’s back at it as he looks to stave off Democratic gains in Congress. Until days ago, immigration appeared to be unlikely to repeat its central role of 2016, as Trump heeded congressional Republican requests to avoid a government shutdown over funding for the border wall ahead of the midterms. And an internal GOP poll presented to the White House last month found that other issues — particularly opposing the “Medicare for All” policy of some Democrats — would better resonate with voters. A vigorous immigration push will likely be well-received in many of the deep-red areas where Trump is campaigning, like his stop in Montana Thursday night. Republicans acknowledge it could play differently in other parts of the country — and might even harm GOP candidates in some selected districts — but they are wagering that as in 2016 it is still a net-win issue for the president’s party. However, Republican and Democratic voters have distinctly different views of immigration as a problem facing the country. A recent Pew Research Center survey found a majority of Democratic voters — 57 percent — think the treatment of immigrants in the country illegally is a very big problem in the U.S., compared with just 15 percent of Republican voters who say the same. By contrast, three-quarters of Republican voters call illegal immigration a very big problem, ranking the highest for Republicans among the long list on Pew’s survey, while just 19 percent of Democratic voters say the same.